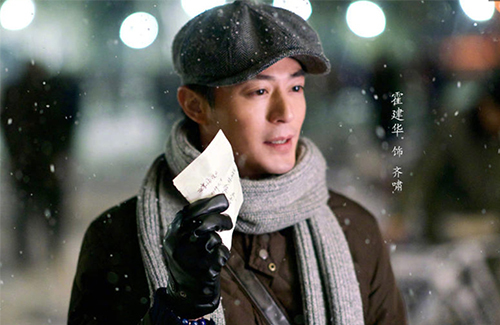 Somewhere Winter <大约在冬季>, a film based on the novel of the same name written by Rao Xueman (饶雪漫), has released its first still featuring its lead star, Wallace Huo (霍建華). The romance drama film, with a script that is also helmed by Rao, follows a Chinese American woman and her estranged relationship with her mother. The original novel is based on a song performed by Taiwanese singer Chyi Chin (齊秦) over 30 years ago. Chyi Chin will also be making a guest appearance in the film. Starring alongside Wallace is Sandra Ma (马思纯), his costar in the TV drama Love Me If You Dare <他来了，请闭眼>. Principle photography commenced on February 15, 2019. Filming will take place in Beijing, Los Angeles, and Taipei.